Kerala Floods: As a result of heavy rains, landslides, opening of dams over Kerala region, there is heavy flow of water at various places. Kerala Floods: Many trains are regulated at different stations. Indian Railways operated Southern Railway has mentioned a list of trains (on its twitter handle- @GMSRailway) that are terminated/rescheduled/cancelled today in view of the unprecedented floods and landslides in Kerala. As a result of heavy rains, landslides, opening of dams over Kerala region, there is heavy flow of water at various places. 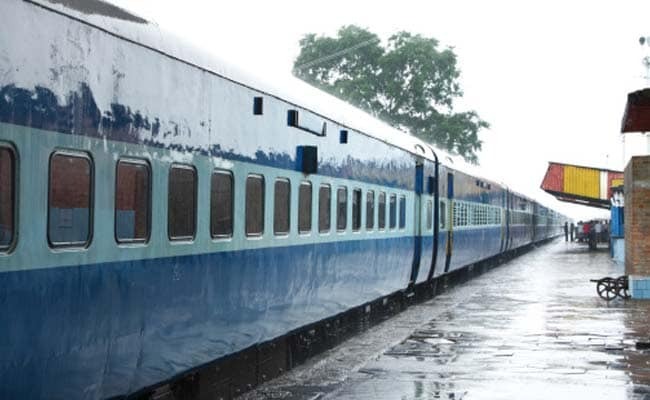 Railway officials are deployed round the clock at all sections to monitor the impact of flood on tracks, bridges and railway premises, a press release issued by Southern Railway said. Considering the safety of passengers on board, many trains are regulated at different stations. Speed restriction is imposed in various sensitive locations where trains are running at speeds between 10 kmph to 45 kmph, the release added. 1. Train No 56324 Mangalore- Coimbatore passenger of August 17 is partially cancelled between Kozhikkode and Coimbatore. 2. Train No. 18567 Visakhapatnam - Kollam Exp, that left on August 16 is terminated at Coimbatore and will be partially cancelled between Coimbatore and Kollam and will return as Train No. 18568 Kollam - Visakhapatnam Exp from Coimbatore on 17.08.2018, tweeted Southern Railway. 3. Train No 12218 Chandigarh-Kochuveli Keral Sampark Kranti Express that left on August 15 is terminated at Kozhikkode and partially cancelled between Chandigarh and Kochuveli. 4. Train No 18568 Kollam- Visakhapatnam Weekly Express cancelled on August 17, 2018. 5. Train No 16528 Kannur- Yesyantpur Express cancelled on August 17, 2018. 6. Train No 82631 Chennai Central-Ernakulam Suvidha Special cancelled on August 17, 2018. 7. Train No 06028 Kollam-Tambaram Special cancelled on August 18, 2018. 8. Train No 12685 Chennai Central- Mangalore Superfast Express cancelled on August 17, 2018. 9. Train No 12601 Chennai Central- Mangalore Chennai Superfast Mail cancelled on August 17, 2018. 10. Train No. 12660 Shalimar- Nagercoil Gurudev Express of 15.08.2018 is diveted via Erode, Karur, Dindigul, Madurai, Terunelveli.